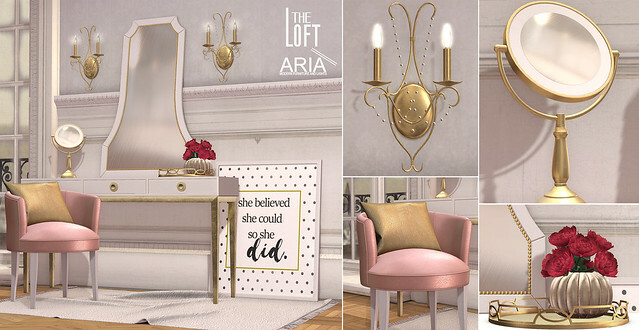 Together again, The Loft and Aria have created a new set for Collabor88 with “New Americana” as their theme. For this round we went for a transitional style in the Troubadour room, a perfect blend of traditional and contemporary design, with no details spared. 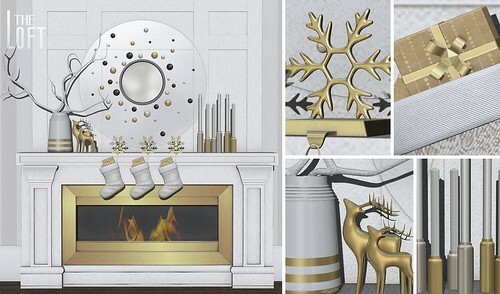 This full room set is ready for any living room or family room. This expansive set is complete with sofa, coffee table and side table. Also available is a large assortment of coordinated decor, including a rug, 2 different table lamps, a geometric side table, wall decor, candles, bowl decor, a vase with orchids, and 5 assorted plants. 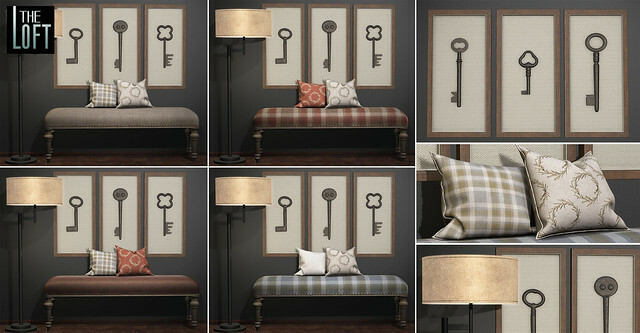 The Troubadour sofa is available in 7 colours, sold separately with texture change options for throw pillows. The coffee table has 5 colour options sold separately as well. 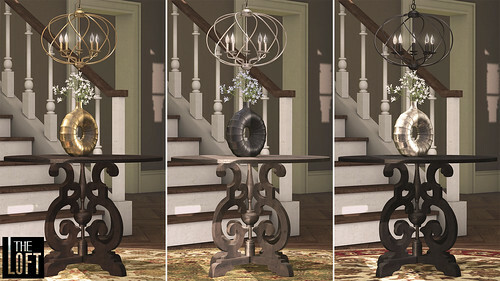 The Troubadour table lamp is available in 10 colours sold separately and both lamps turn on and off when clicked. 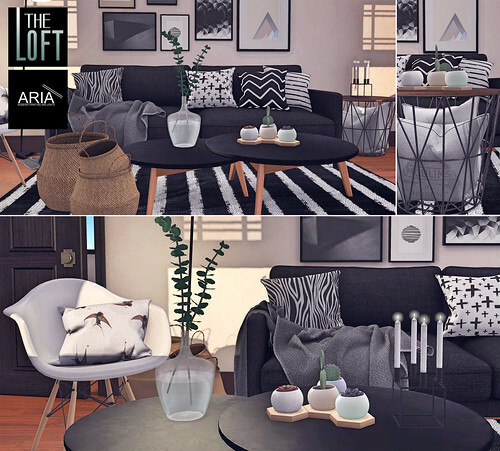 The sofa is available in Family/PG and Adult options, all packed full of hand chosen poses with various wearable props. The Family/PG version has space for 2 to 4 member families as well as 1 to 4 kids playing poses ready for anything from family time to play time. 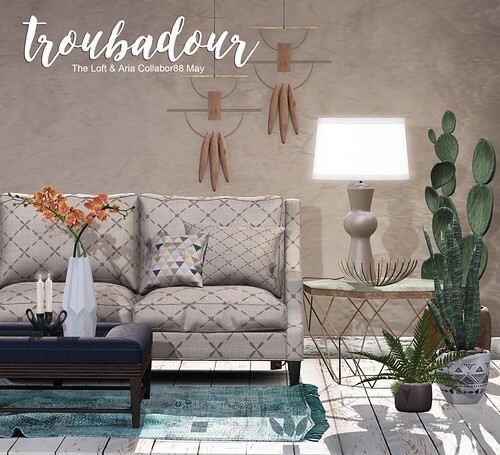 The Troubadour set totals 42 LI as displayed and is copy and modify, and materials enabled! 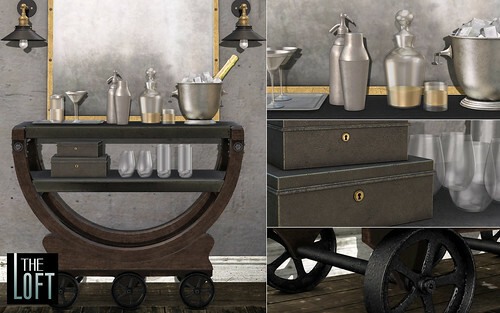 The set will be available at Collabor88 for the month of May!